Palm Desert, CA: The Art Place in Palm Desert wants to put the Ho Ho back in your Holidays! They have partnered with the 29 Palms Marine Corps to help bring Christmas to less fortunate families. 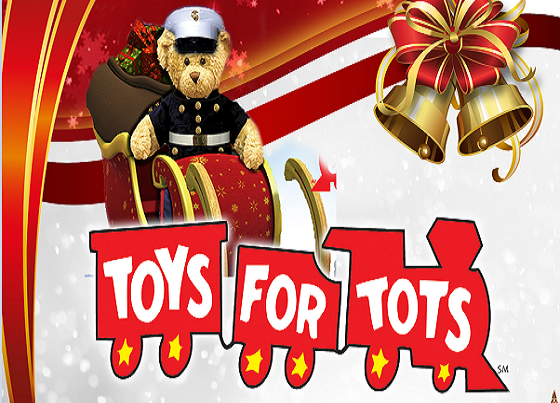 The mission of the U.S. Marine Corps Reserve Toys for Tots Program is to collect new, unwrapped toys during October, November and December each year, and distribute those toys to underprivileged families. The Christmas gifts collected by the Marine Corps will go directly to families here in the Coachella Valley and surrounding cities of Riverside County. Wednesday, December 14th from 3pm to 6pm, The Art Place toy drive will culminate with the Ho Ho Holiday Gathering. 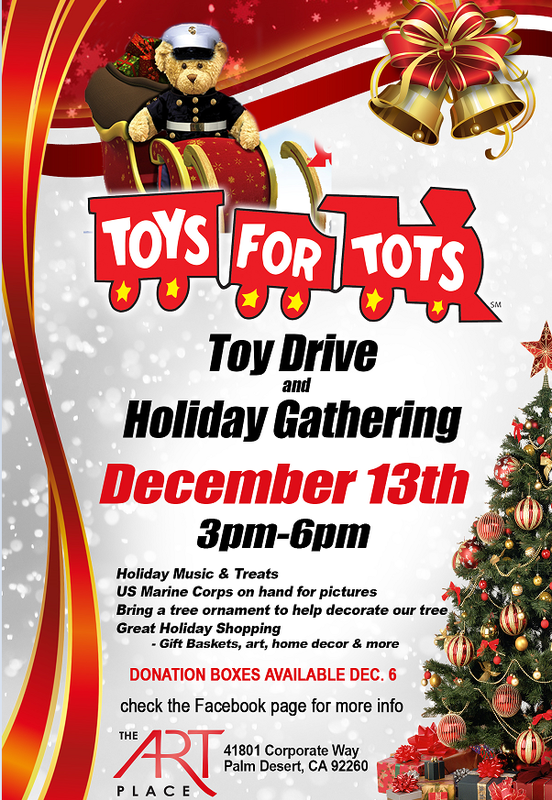 Bring your toy donations and enjoy Christmas cookies, holiday music and the US Marines who will be on hand for pictures and toy collection. Guests are also encouraged to bring Christmas tree ornaments to help decorate The Art Place Christmas tree sponsored by Woody Miller Christmas Trees on Ramon Road East of Date Palm in Cathedral City – look for the giant snowman. While you’re in the mood for giving you might want to browse The Art Place shops for great gift ideas to give to the loved ones on your Christmas list. Shop owners will welcome you with festive music and great gift ideas from art and décor to holiday gift baskets. For those residents who are unable to make it to this free event, the Toys for Tots donation boxes will be available to drop off toys starting Tuesday December 6. Stores times may vary but most shops are open Monday through Saturday from 10am to 5pm. The Art Place is located at 41801 Corporate Way, Palm Desert.